Be Seen, Get Screened's Hero of the Month series highlights the work of inspiring individuals on the front line in the fight against colon cancer. In our latest edition, we talked to Kyra Bishop, who recently raised and donated more than $5,000 to Colon Cancer Alliance. 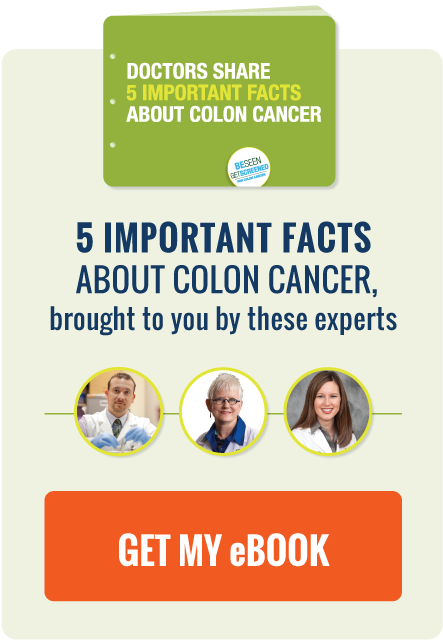 We first learned about Kyra's story at the Colon Cancer Alliance blog, and the folks there were kind enough to put us in touch with her for an interview. Be Seen, Get Screened: Can you tell us a bit about yourself? I am Kyra Bishop. I just turned eleven years old and I live in Los Angeles. I have three brothers, two older brothers and a twin brother. I enjoy many sports including basketball, soccer, football, volleyball and running. Be Seen, Get Screened: How have you been affected by colon cancer, and why did you decide to get involved in the fight against the disease? A year and a half ago I found out that someone who worked for my dad had colon cancer. His name was Dave Sullivan. Even though he lived in New York and I had never met him, I decided to try to help his recovery. I sent him a rainbow loom bracelet in the company colors. He liked it a lot and said that as soon as he got it, he put it on and never took it off. Over the next year we sent each other notes and gifts. For my birthday he sent me a giant bucket of candy. Dave seemed to be getting a whole lot better. Suddenly over last winter break, Dave died. He was only 41 years old, which is young to get colon cancer. I was really sad and cried a lot. After I got myself together, I decided to do something about colon cancer. Be Seen, Get Screened: Tell us about how you raised money to support the Colon Cancer Alliance. What were some challenges and accomplishments you faced along the way? I raised money for the Colon Cancer Alliance by sending out an email to friends and family asking for donations to support me running a 5K. I faced some challenges training for the race. I wanted to run the race in under 28 minutes since one of my supporters said they would donate more if I beat that time. Since I have a busy schedule and am in 5th grade, I barely had any time to train. I even got up early in the morning before school to run with my dad. One accomplishment I had was getting a huge check from a supporter who’s dad had died of colon cancer. When I opened that envelope, I felt proud, like I was going to raise a lot of money. I collected many checks and in the end I raised $5,750 for the Colon Cancer Alliance. Be Seen, Get Screened: How did the 5k race go? I raced on Easter Sunday. Dave Sullivan’s widow came out from New York to race with me. My mom and dad ran too. I ran my hardest and my time was 27 minutes, 55 seconds. The last two minutes I sprinted. If I hadn’t, I wouldn’t have gotten that extra money for running the race in under 28 minutes. Be Seen, Get Screened: Why do you think it’s important for people—young and old—to get involved in charity and advocacy work? I think it is important because every day people find out they have a disease that could have been prevented if it was caught it earlier. With everyone's support, we can help more people get early help so they survive. Even though I was only ten when I started to collect checks, I felt really good about raising a lot of money. A few weeks ago I got up at my school assembly in front of all of the students, teachers and some parents, and talked about how I raised money for the Colon Cancer Alliance. I hope that I inspired people to try to raise money for something they care about. Be Seen, Get Screened: If you had one piece of advice for a young person trying to make a difference the way you have, what would it be? Your age does not matter. If you are young, you can make just as big of a difference as an adult.